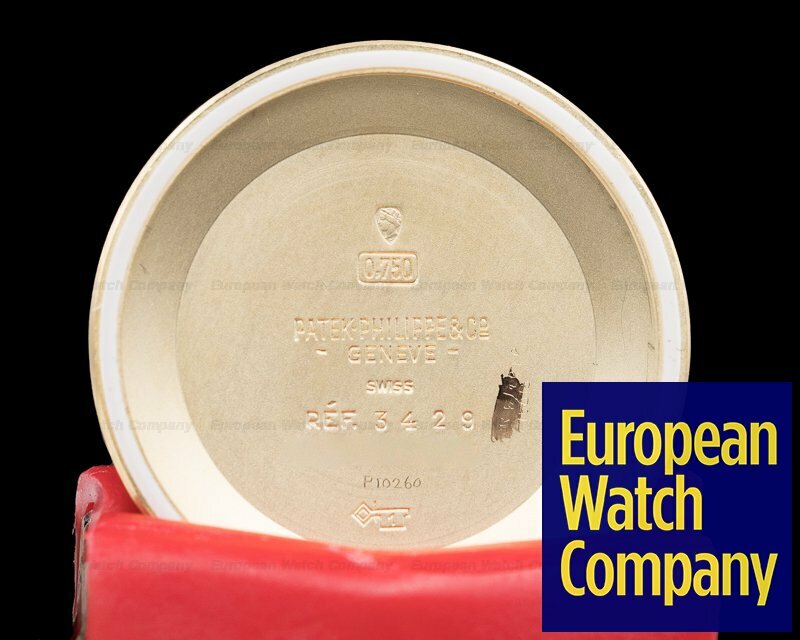 28758 Patek Philippe 3429 Calatrava, 18K yellow gold case is in excellent condition with the hallmark at 4 o'clock still visible, automatic Patek Philippe Caliber 27-460 movement, silver dial with raised enamel signature and small seconds is very clean and in fantastic original condition, applied gold stick hour markers, original PP crown, screw down back, acrylic crystal, size 35mm, thickness 10mm, Excellent Condition with Patek Philippe Archive Certificate; dated 11/1964. 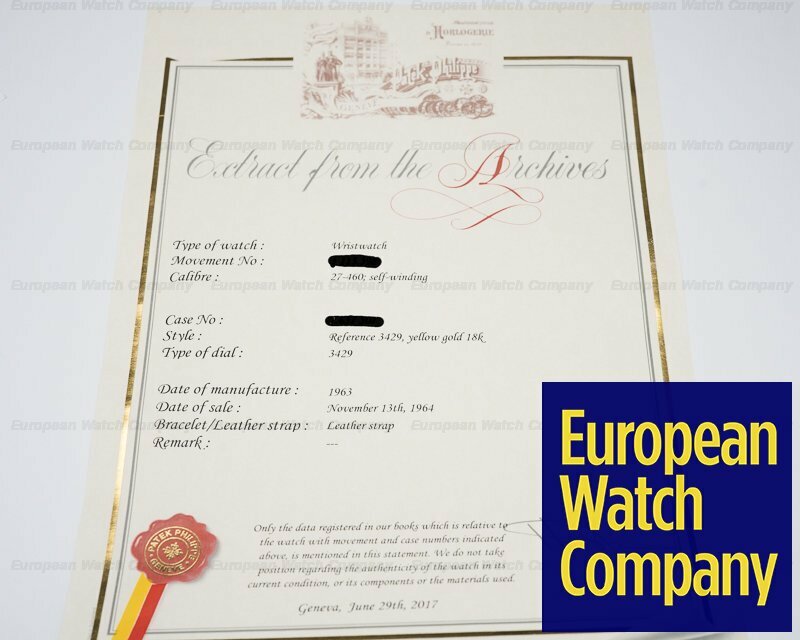 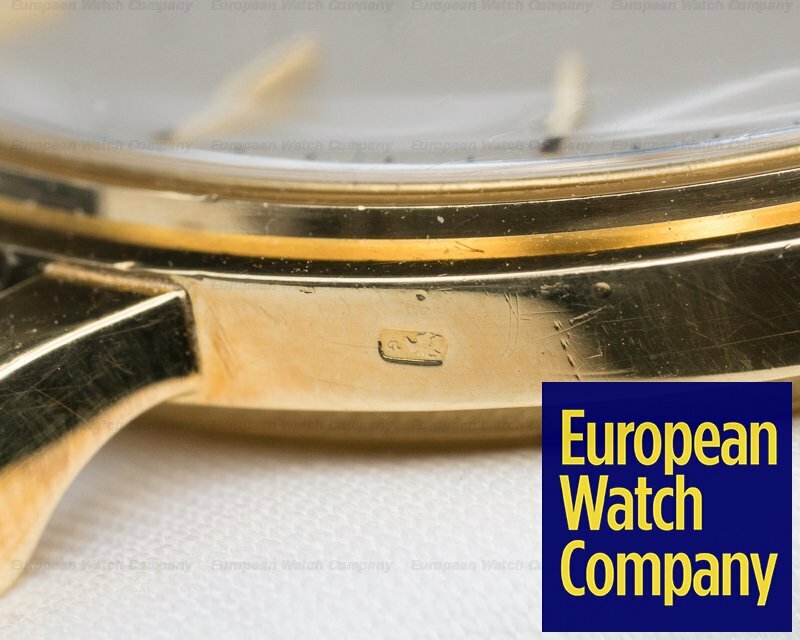 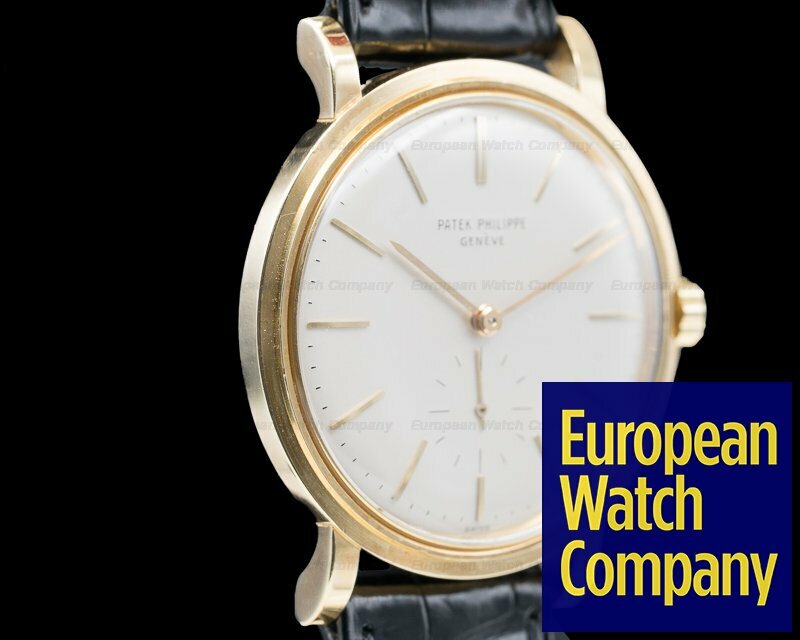 This is a vintage 1964 18K yellow gold Patek Philippe Calatrava, 3429. 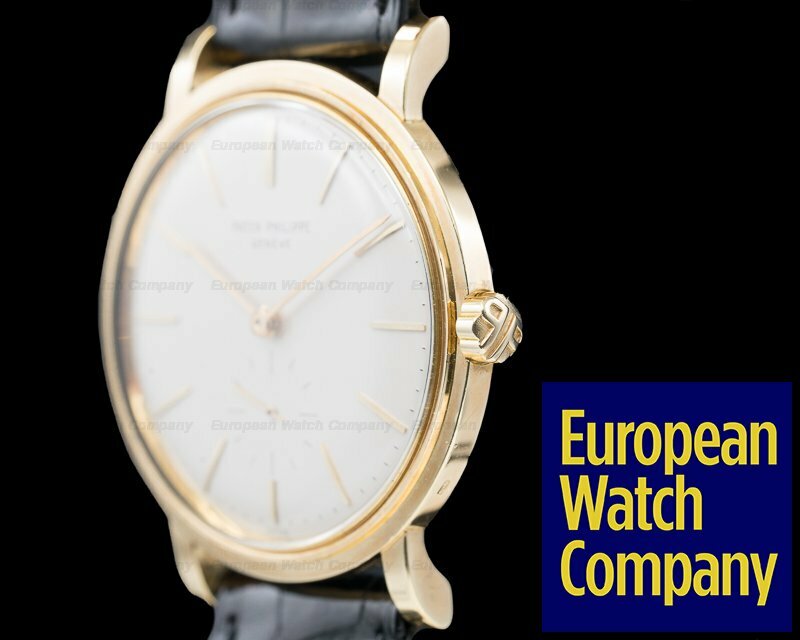 It has a leather strap with a matching 18K yellow gold tang buckle, and a domed acrylic crystal. 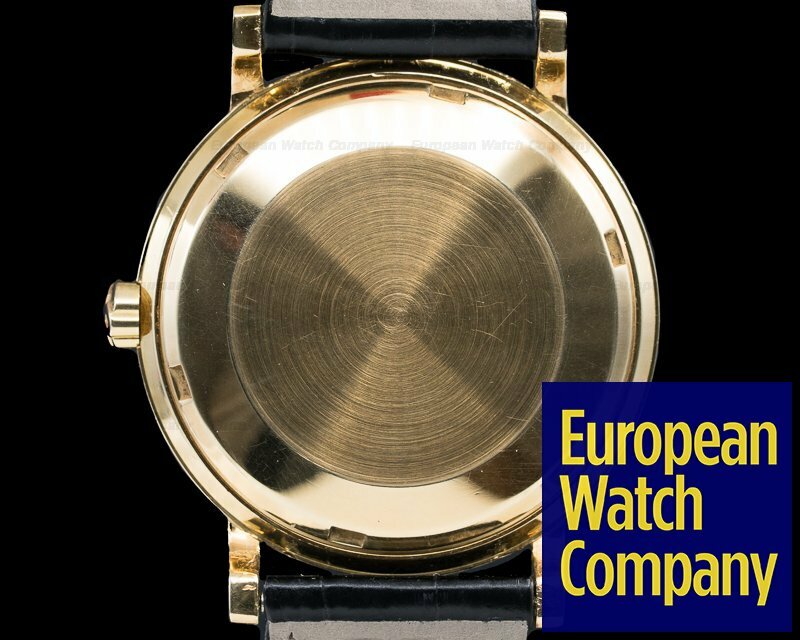 The 35mm diameter solid two-body case, stepped bezel, downturned lugs, and screwed-down solid case back are polished/brushed. 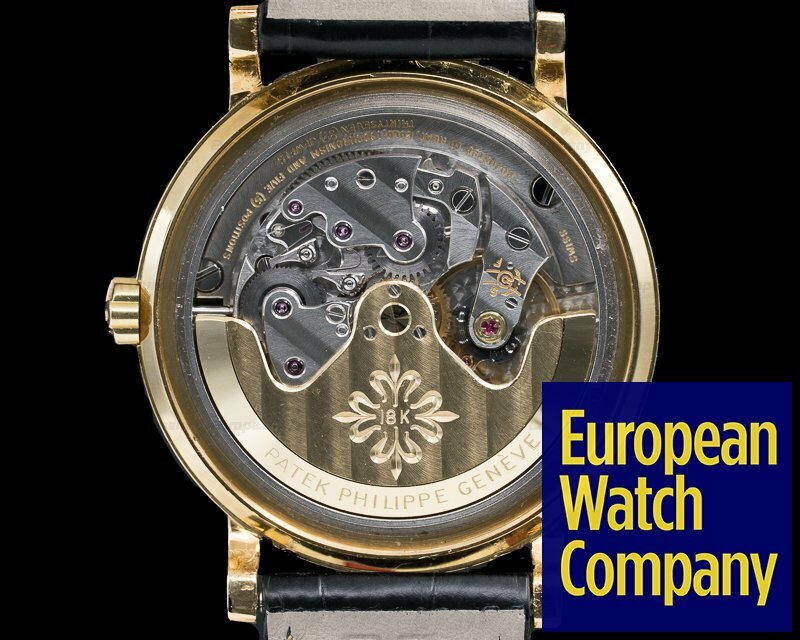 The dial is silver with applied gold baton hour markers and hands, and an outer minute ring with dot indexes. 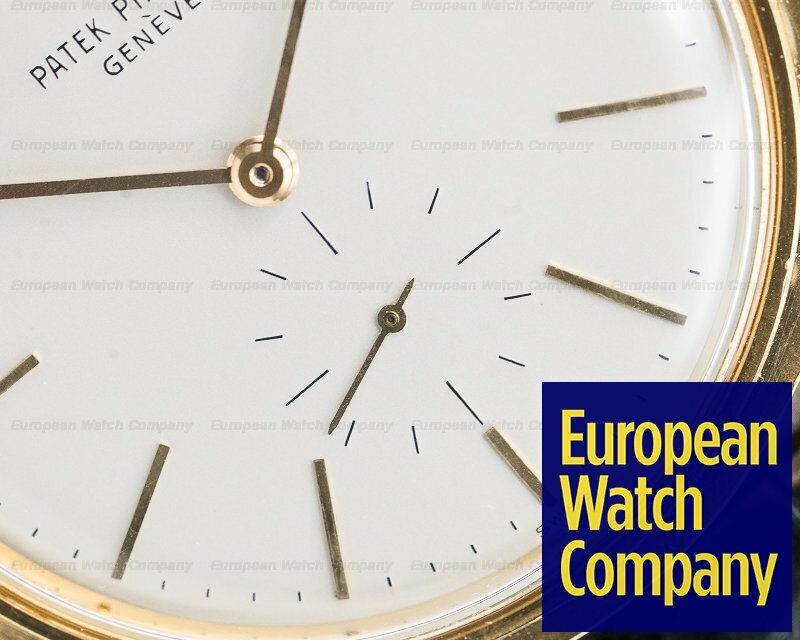 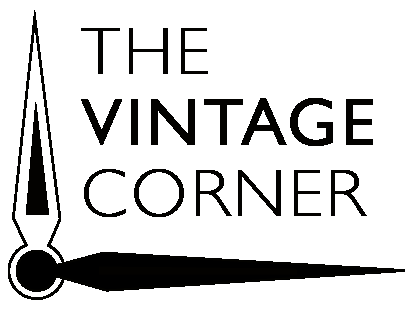 There is a subsidiary constant seconds dial at the 6 o'clock position. 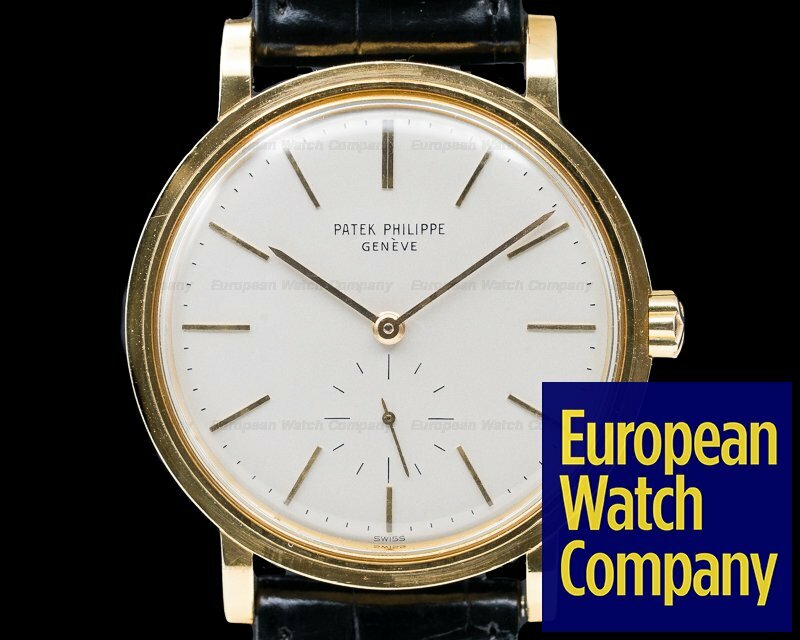 It has the original Patek Philippe "PP" crown, it's water-resistant, and the 10mm thick case, dial, and movement are all signed. 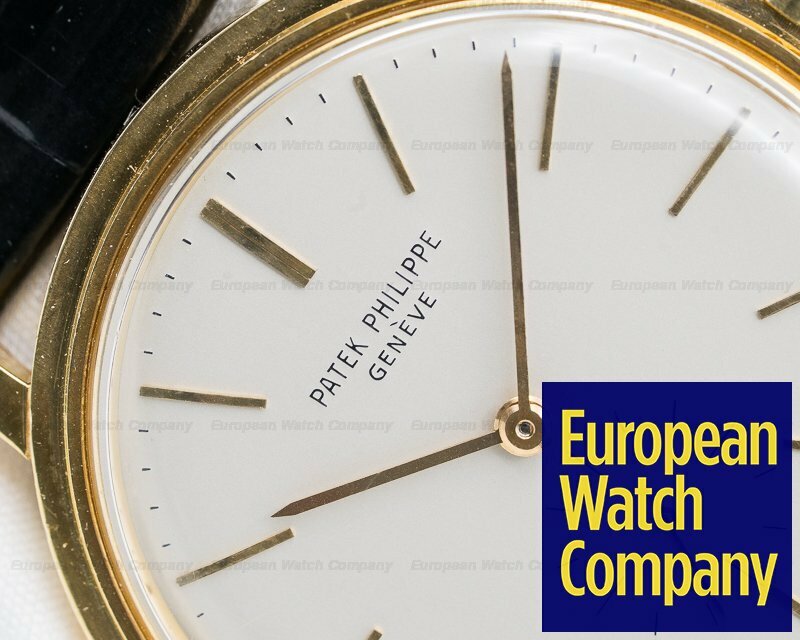 The mechanical self-winding automatic Patek Philippe Caliber 27-460 movement is rhodium-plated, with fausses cotes embellishment, a shock absorber mechanism, and it's stamped twice with the Seal of Geneva quality mark. 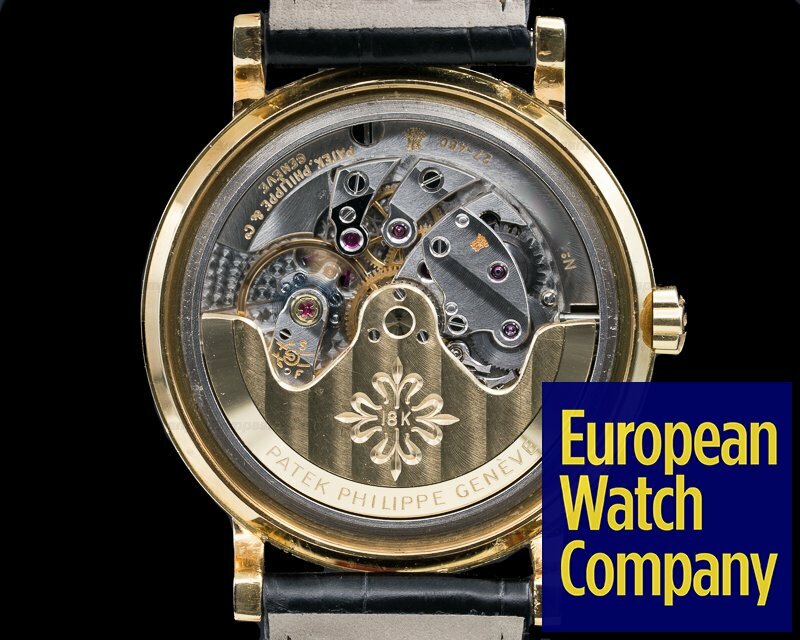 It's constructed with 37 jewels, a straight-line lever escapement, a patented Patek Philippe Gyromax balance that's adjusted to heat, cold, isochronism and 5 positions, a self-compensating free-sprung Breguet balance spring, and an 18K gold rotor.